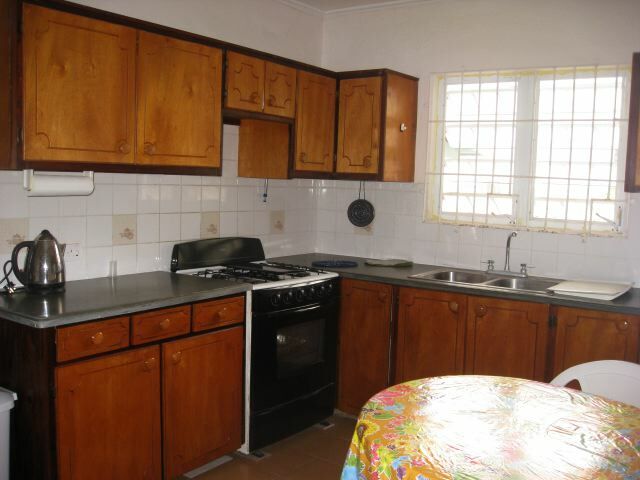 This spacious one bedroom conversion has a spacious open plan living room and dining room before entering the kitchen with the separate laundry room which then has access to the garden via an unfinished sun room. 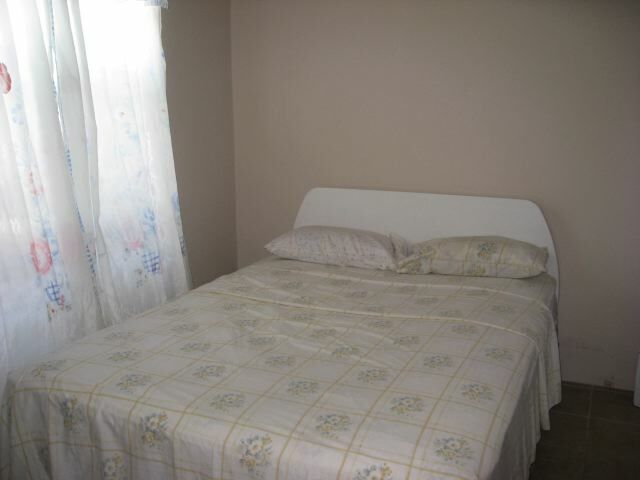 The bedroom is light but not air conditioned and has both a closet and a chest of drawers. 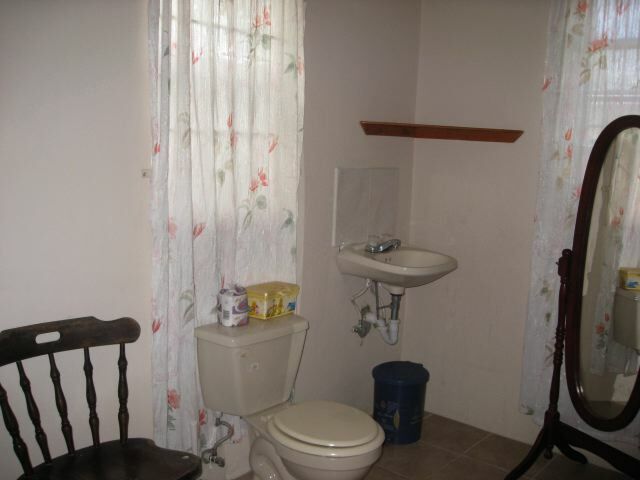 The bathroom can be accessed by both the bedroom or the hallway to allow for privacy. 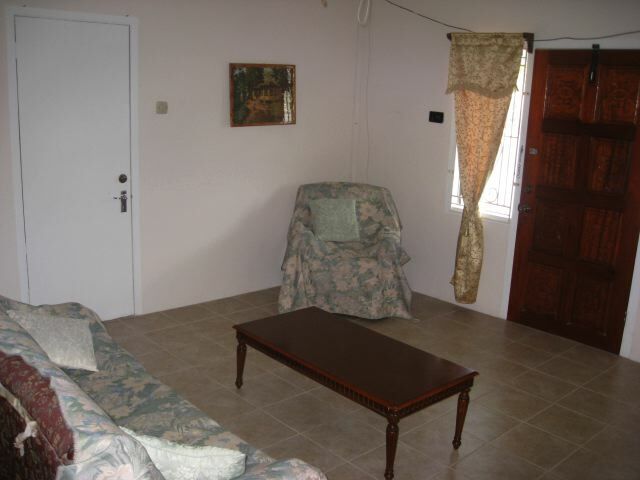 A large closet at the end of the hall also allows for storage. 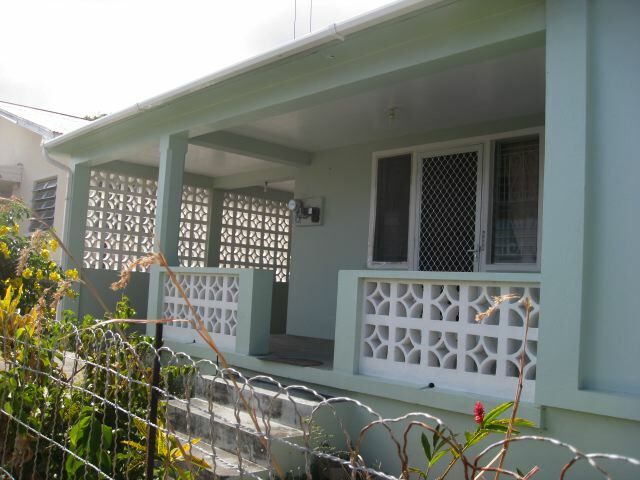 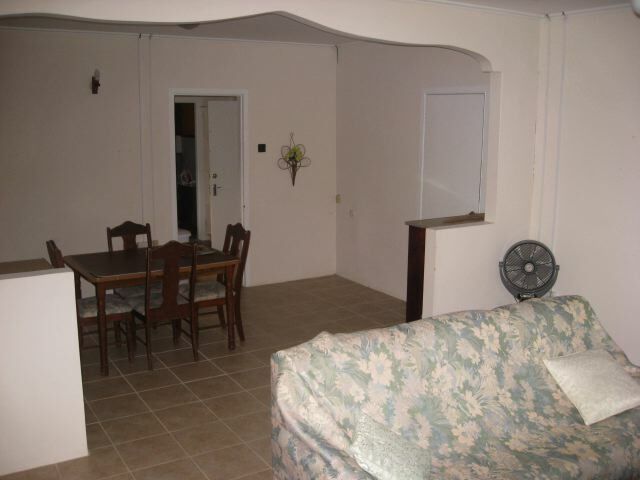 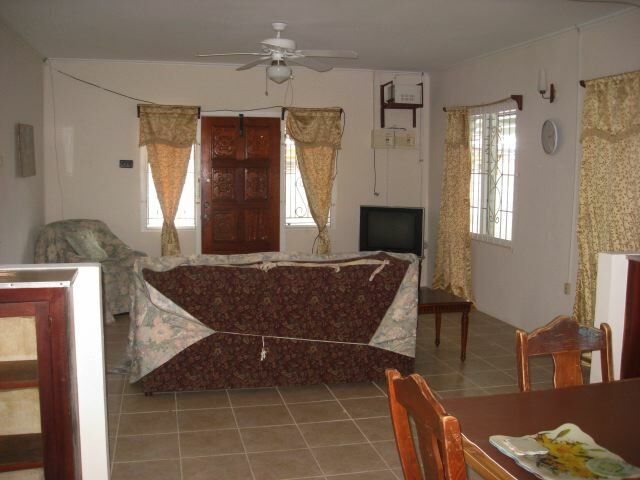 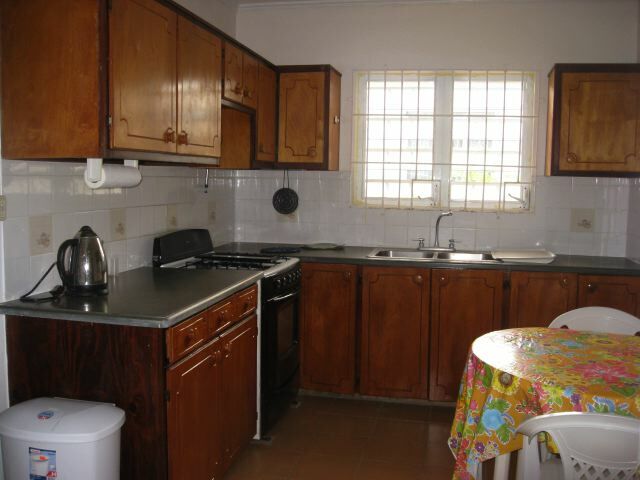 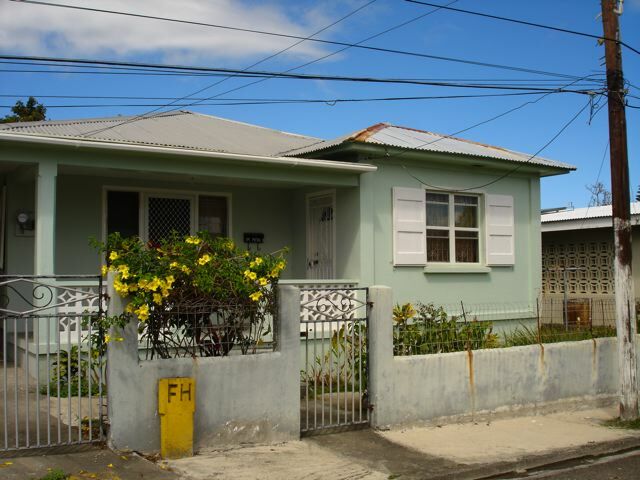 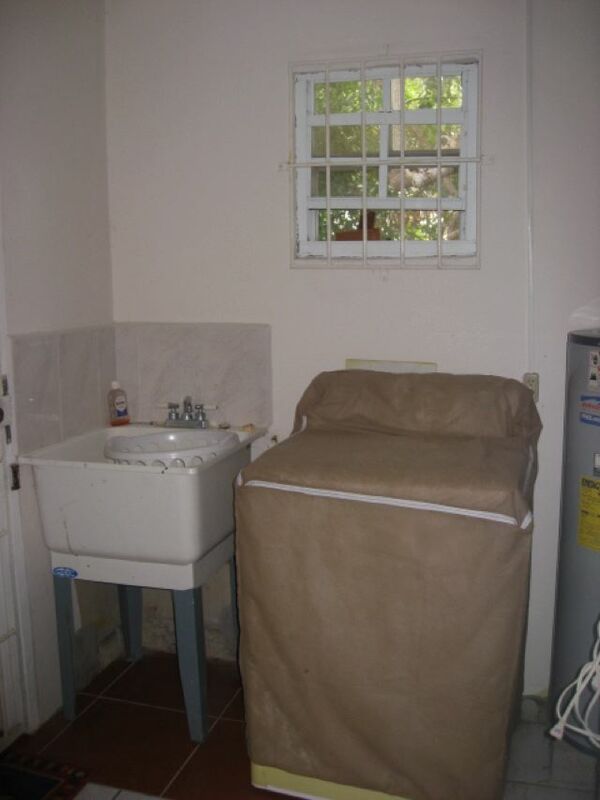 There is off road parking and the house is located in a quiet and mature residential neighbourhood but still close to Basseterre and all amenities and local bus routes. 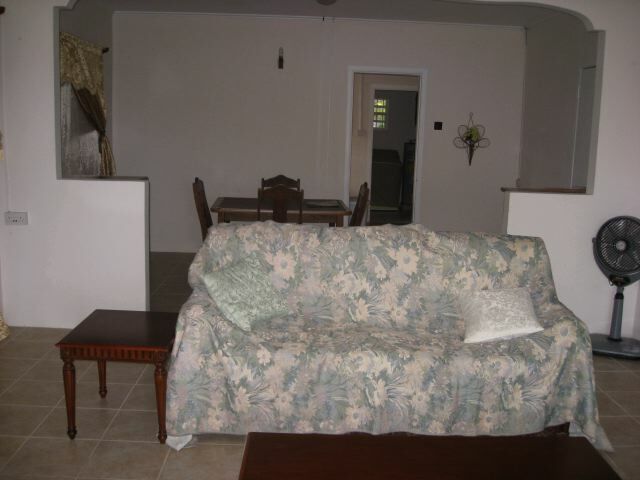 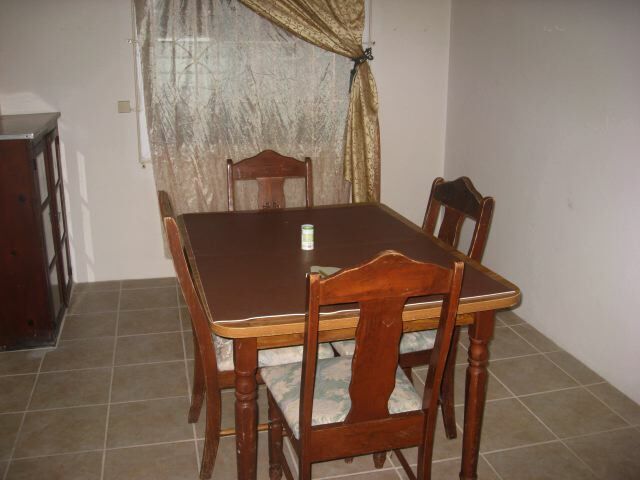 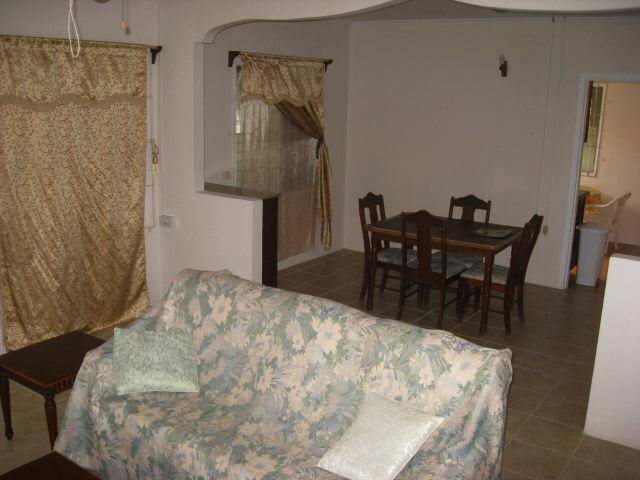 This home is offered furnished.